2018 Reader’s Choice Awards Your voice has been heard! 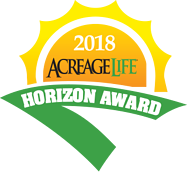 AcreageLife’s 2018 Readers Choice Awards, the most popular and well-regarded of this year’s Product Showcase entries, have been selected by our readers. 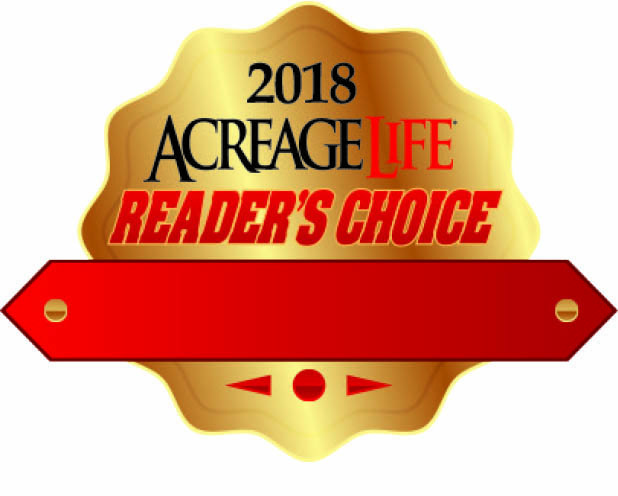 AcreageLife wanted to know what our readers thought of each of our 2018 Product Showcase listings, so we reached out and you responded. A statistically-significant sample was randomly selected from 10,000 most recent digital subscribers generating a 28% open rate,, and we were gratified at the response. All who gave their opinion received a one-year print subscription to AcreageLife FREE. Plus, one entry was randomly selected to receive a free page in our magazine—and our online presentations, too—showcasing their acreage or farm-related business. Look for that in coming weeks. There were a few neck-and-neck horse races, so read on to see if your favorite was one of the Horizon Awards—for strong showing—or the Readers Choice winner!